Giving practical shape to pioneering design is a game of testing and using all possibilities of technology. It is playing this game at the very highest stakes that gives Silhouette its lead in the field of innovation. For the end result - an exclusive collection. Every step of the manufacturing process, from the designers' first idea to the high-quality product, is characterized by Silhouette's quality oriented commitment to only the highest standards of quality. The teamwork of all the designers, manufacturing engineers and creative color specialists results in prototypes, which are then tested by our company optician on up to 25 persons. It is only after this extensive testing that the precise transformation of the prototype into a CAD model and the work of the experienced toolmakers begin in earnest. 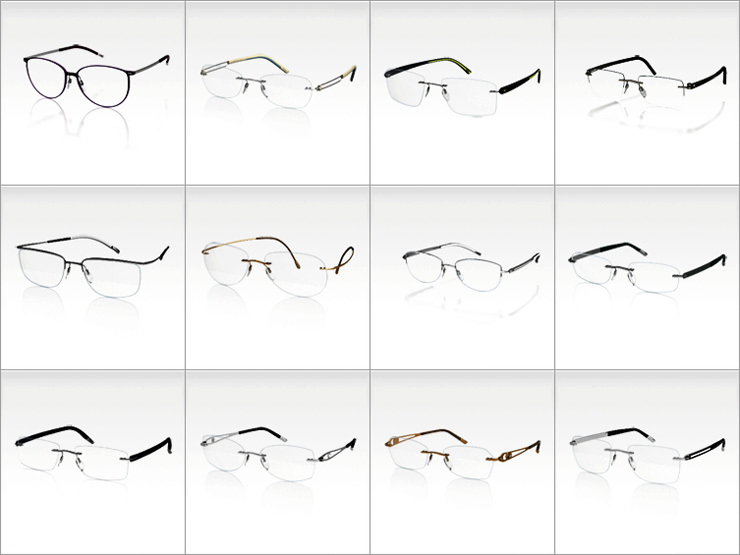 About 120 accurately fine-tuned production steps are required for each single frame of a collection to safeguard exact manufacturing, durability and perfect surface quality. Each frame is then finished by hand. Strict quality control during and after production ensures that every frame is genuine Silhouette quality. The material employed is the decisive factor of success. Intensive research input has enabled Silhouette to improve the high-tech metal titanium. The special composition of beta titanium allows for the design of extremely delicate and at the same time dynamically curving temples. 2. Lightness and wearing comfort. The prime reason for wearing frames is to improve vision. The extreme lightness of these models - Titan Minimal Art frames barely weigh 1.8 grams - keeps pressure on the sensitive facial zone extremelx low. 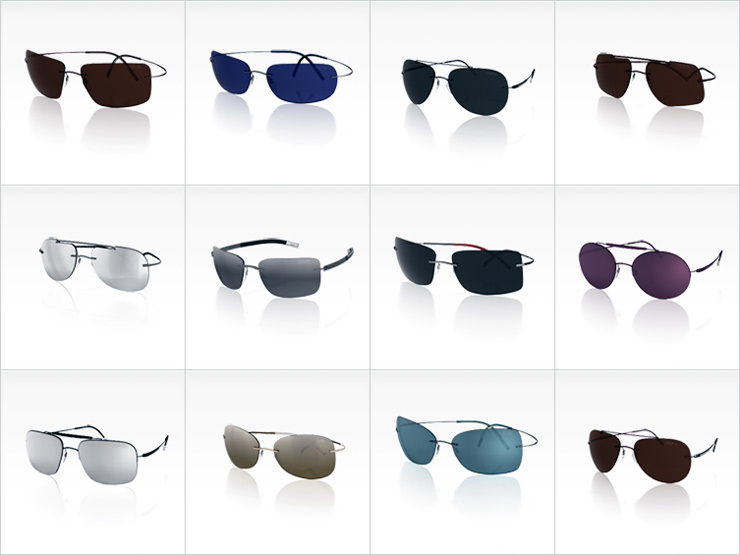 At the same time, wearers enjoy perfect, all-round visibility in every situation. Lightness is just one of many extraordinary qualities that have motivated NASA to equip its astronauts on their space missions with the revolutionary Titan Minimal Art frames. Titan Minimal Art eyewear is based on a visionary design concept: the hingeless and screwless connection of lenses and temples generates both a minimalist look and unique pleasure in wearing these models. Lightweight all over, the super-elastic titanium temples cling to the wearers' face - producing optimum wearing comfort with absolute lightness due to top quality standards.